Appearance: I received an orange A5 Rhodia webnotebook, and I love the way this notebook looks. I especially love the embossed Rhodia logo on the cover. I often avoid products with obvious logos, but this is a beautiful one, and I love the way the trees and the letters look and feel on the cover. The orange endpapers are also bright and attractive, and the elastic and ribbon marker complete the orange and cream color scheme. I like the cream (or ivory?) colored paper, and the dots, while initially more prominent than those I’ve seen in other notebooks, do fade into the background once you begin writing on the pages. They are dark enough to be visible when you need them, but they aren’t intrusive. Materials: This notebook held up to daily use for five months. I love the texture of the cover, which withstood a bit of abuse. The spine remained strong, and the pages handled just about every ink I threw their way. The end paper and the back cover envelope are securely glued into the notebook. The elastic closure kept its springiness. The only element that really suffered was the ribbon, which frayed at the end. Writing Experience: Along with Maruman and Tomoe River papers, Rhodia’s Clairefontaine paper is among the best I have ever used. The paper is wonderfully smooth, and fountain pen nibs and ink just glide right over its surface. I also used rollerball, ballpoint, and felt-tip pens on this paper, and the paper handled all of these inks beautifully. I also appreciated the consistency of the dot grid sheets—they were all identical, a feature that is important for bullet journaling. For Bullet Journaling: I appreciated the even number of spaces (26 squares from side to side, 40 from top to bottom), and how easy it was to divide the page into various sections. While some bullet journal users may wish for pre-printed page numbers and an index, I find these easy enough to create on my own. I appreciate the gusseted pocket in the back cover, as this was useful to store a small ruler and some loose sheets of paper. The webnotebook lays flat , which is a must for bullet journaling. My one serious recommendation for improvement (at least for the purposes of bullet journaling) is to create a longer ribbon bookmark (this one is too short) and to consider increasing the bookmarks to two or even three. Folks who use bullet journals often require multiple markers to locate various spots (month, week, and day spreads, for example). But at the very least, the ribbon needs to be longer and perhaps made of more durable material to be useful. Overall: I think that if the ribbon marker were to be upgraded, I would make Rhodia my go-to brand of notebook for bullet journaling. I do think that a wider range of colors would be nice. (I love the Rhodiarama line of colors, but I strongly prefer a lay-flat, hardcover, dot grid notebook for bullet journaling). The quality of the paper and the high quality of construction make this a strong contender for best bullet journaling notebook around. Thanks again for allowing me to use this notebook! This will certainly not be the last Rhodia product I use. Thanks so much for your excellent and thorough review John! Of note: the ribbon issue has been brought to our attention by several users, and is currently being worked on! Terrific review, thank you for all the incredibly useful information. I am looking for my first bullet journal. I’m going over to the dark side, lol. I’m learning the bullet journal technique so I can share it’s true organizational abilities with my artist readers. 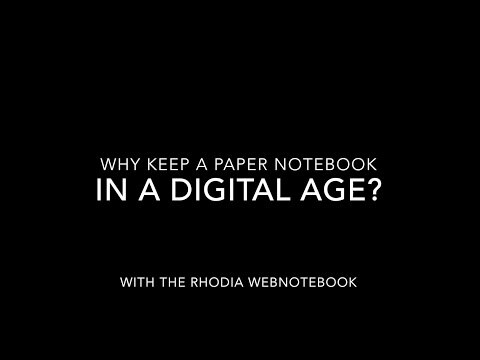 Rhodia is on my shortlist. I’ve never used either of their web notebooks or their Rhodiarama line. I’m really swayed by the incredible reviews I’ve read on them and the true beauty of the Rhodiarama turquoise hardcover with the zebra inside. I’m an artist and LOVE color, why not fill one’s day with it. I’ll be using any bullet journal throughout the day, why not also make yourself happy with color. I just have to save up and go for it.